Iced coffee is arguably one of the best things to ever happen to the coffee industry. More than just a “coffee with ice,” this unique drink is bursting with flavors that add a bit of uniqueness to every sip. This caffeinated favorite will become your new go-to at these 10 best places for iced coffee in South Carolina. Brew is in their name for two reasons: by day they’re a bustling coffee house with locally sourced bakery items and the best coffee in the city. By night they’re a should-be-world-famous beer bar, most of which are brewed in the Greenville area. Iced coffees are in style throughout the day and evening, and it’s reason enough to keep you coming back. This three-location chain lives in SC’s Upstate area and offers just about every type of coffee and non-coffee drink you can imagine. Their food menu is also quite extensive, offering breakfast and lunch favorites like bagels, sandwiches, wraps, eggs, and croissants. Any of their specialty coffee drinks can be iced, and you’ll appreciate the huge variety they offer. It doesn’t get any fresher than roasting your own coffee, and that’s exactly what you’ll find here. 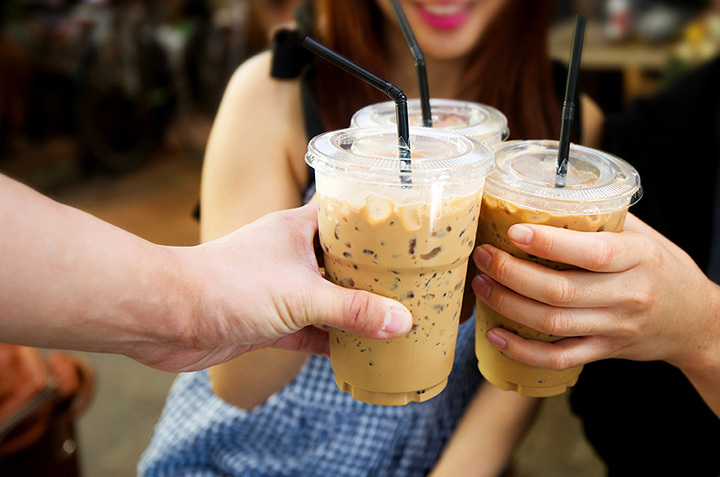 They have a full suite of iced coffee drinks that satisfy and delight, from iced brews to mochas to lattes and the ever-popular Americano. They’re also a popular hot spot for lighter fare, like bagels, quiche, and sandwiches. Named for the famous Clemson Tigers “All In” tagline, this coffee shop is bursting with team spirit and delicious iced coffee. Their cozy cafe-style setting offers plenty of table space and cushy lounge areas, as well as outdoor seating so you can enjoy your coffee rain or shine. They also offer a light breakfast and lunch variety so you can make a full meal out of your experience. In case you didn’t know, there is a method to making the best iced coffee, and Methodical Coffee has found it. They feature their own brand of coffee so you get a truly one-of-a-kind drink every time. With a mellow hipster vibe and amazing aromas filling the shop, it’s the perfect blend of inspiration and invigoration that everyone can use to fuel their day. This charming little breakfast and sandwich shop is all things southern hospitality, so expect nothing less when you stop in for an iced coffee. You can choose to drink it plain, or add a flavor shot for a small upcharge. And you won’t want to leave without taking a dessert (or two!) with you—chocolate cake, fresh baked cookies, milkshakes, smoothies, and old-fashioned root beer floats make it hard to choose just one! This non-profit coffeehouse is on two missions: to provide shelter and safety to others in need, and to craft amazing coffee and other goodies that inspire the community. They have the classic coffee shop vibe complete with open mic nights and warm, cozy surrounds that will make you want to sit and stay awhile. Locals love it because it’s one of the less touristy coffee shops on the Grand Strand, giving you a quiet retreat when vacationers come to town. Touted as the best coffee in the region, this place has a lot going for it. They’ve taken care to source high-quality blends that will make you want to ditch the grocery store coffee for good. They offer a few ice cold varieties to suit your style, as well as additional flavors to create a taste that’s all you. Their cold brew coffee is one of the best deals on the menu, so you can sip happily and guilt-free. Their food menu is small, but what it lacks in variety it more than makes up for in quality and freshness. Folks love coming here for their “mobile office,” quick lunches or meetings, or simply to soak up the classic coffeehouse atmosphere.